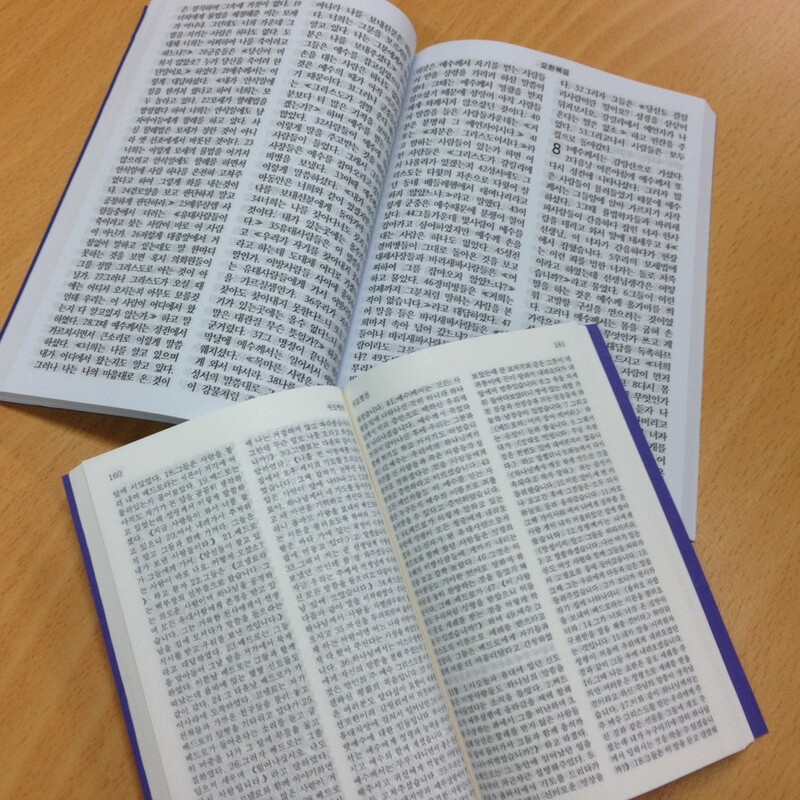 Every year Voice of the Martyrs Korea launches thousands of New Testaments by balloon into the Southern portion of North Korea. 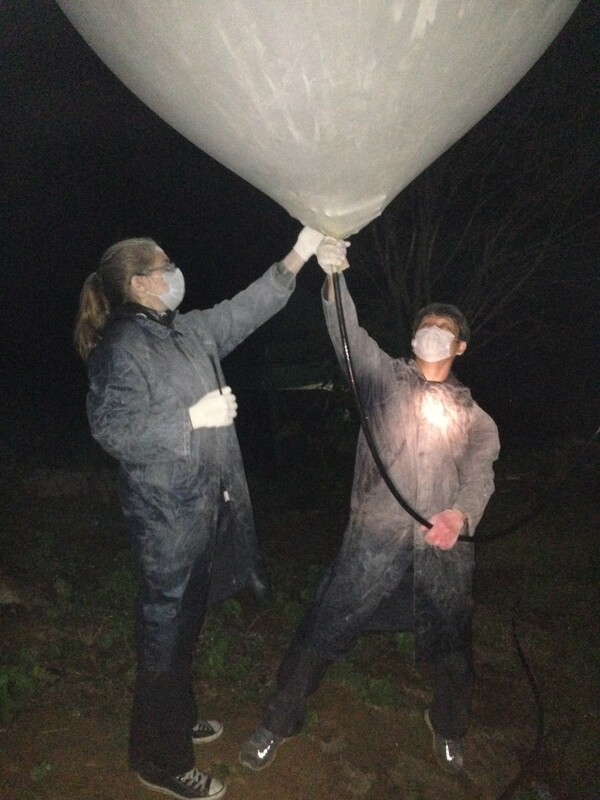 Here is a behind the scenes look at what goes on with each balloon launch! New App Lets Us Pinpoint Where Bibles Will Land…Before We Launch! A scientist in Australia has partnered with us to provide us a computer app that enables us to enter the full range of launch data—atmospheric conditions, wind spend and direction, hydrogen volume, payload weight, and even the specific make and model of high-altitude balloon we are using—and receive a precise projection of where Bibles will land, before we ever leave our office. Our field tests to date have proven the app to be astonishingly accurate in its predictions when compared to the GPS data we receive from actual launches. It is not an overstatement to say that this new app changes everything for us—while weather conditions don’t make it possible for us to choose just any target, the app does make it so we can ensure that our Bibles make it into North Korea. By varying payload weight and hydrogen gas volume, we can influence the direction. We’re still experimenting with how much. One remaining piece of equipment—a gas metering device, enabling us to more precisely measure hydrogen volume—is in production for us. It is an expensive device, but it will enable us to make full use of the app. We hope to have it deployed yet this launch year. This year, in addition to responding to reader feedback asking us to make the font more readable, we also added the book of Genesis to the launch Bible, which so far has always been a New Testament. The slight increase in weight and size means that we can’t fit quite as many Bibles per balloon as last year, but we consider the addition of Genesis to be extremely valuable. Over the past two years, we’ve found the book of Genesis to be the most effective part of the Bible to begin with in evangelizing and discipling North Koreans. It combats the lies they’ve heard from the NK regime concerning the origins and purpose of the universe and humanity. Please Pray Like Elijah For A Change In The Weather! Korean meteorologists predicted that June would be a particularly bad month for launching balloons, and they were exactly right! It wasn’t until the 30th of June that there was even any possibility to launch successfully into NK – every other day the balloons would have flown down right back down to Seoul. This makes this the latest starting balloon launch season on record. So far this year, weather has enabled us to launch a total of only 1,745 New Testaments (NTs) – 1,085 NTs in May and 660 NTs in June for a total of 1,745 NTs. We also launched 128 USBs, with 2 USBs inside of each balloon. Currently, we are only at 18% of our launching goal, so during the month of July we will be taking advantage of every available opportunity to launch, whenever the winds and weather conditions are conducive. July and August will be critical for our balloon launching activities. Fortunately, meteorologists are predicting more launch-appropriate conditions for the remainder of the summer. Still, we covet your prayers. This entry was posted in Balloon Launching, North Korea, Proclaiming The Gospel and tagged Bible Balloon Launches, North Korea Bible, Voice of the Martyrs Korea. Bookmark the permalink. We will pray like Elijah! Is there a way to donate to the balloon ministry? Hi JH – I just sent you an e-mail! Thanks for asking, JH. If you’re writing from the US, you can donate to our balloon work through our sister VOM mission, Voice of the Martyrs/US, at http://www.persecution.com. Make sure you let them know we sent you.